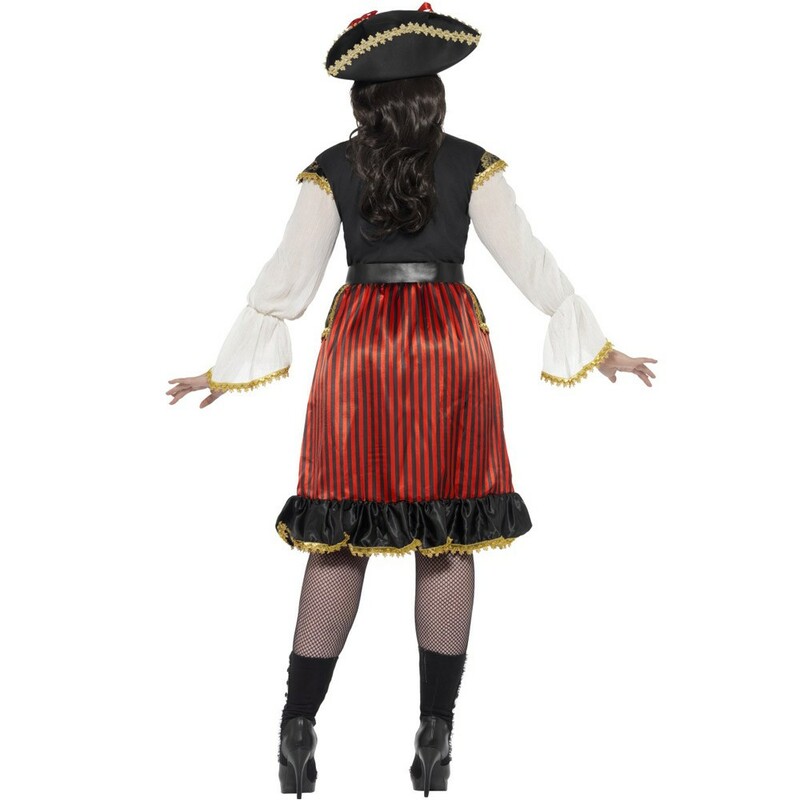 A Deluxe Authentic Lady Captain Costume including a Dress, Jacket, Neck Tie, and Boot Covers – Ideal for any Pirate theme, or any fancy dress occasion! 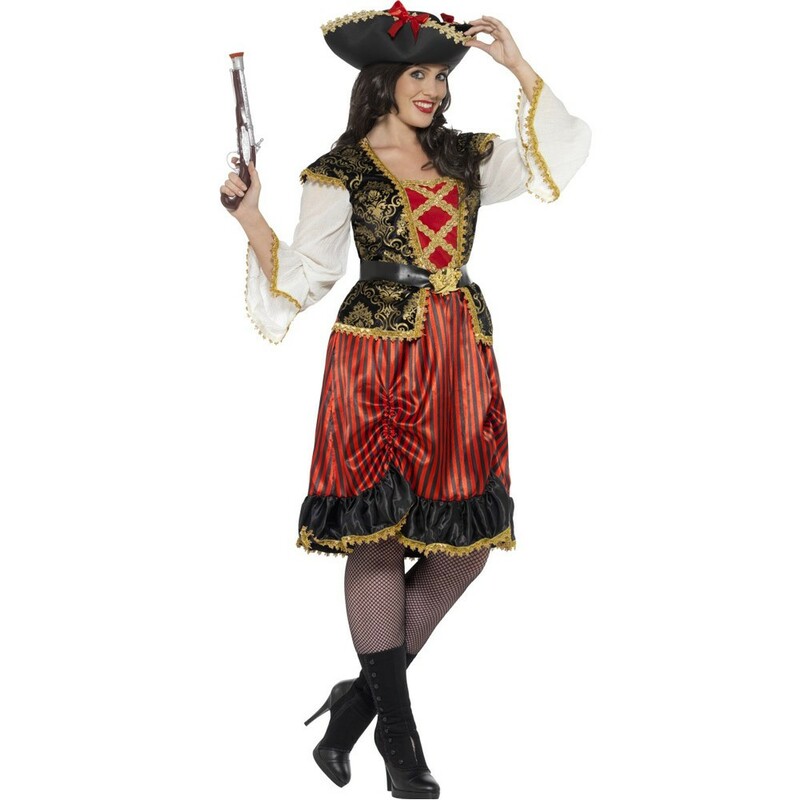 Show that Pirates have style with this gorgeous Deluxe Authentic Lady Captain Costume. This Deluxe Authentic Lady Captain Costume comes complete including a Dress, Jacket, Neck Tie, and Boot Covers. The Dress features a black bodice and an ornate dark grey skirt with an intricate silver swirl design. This lovely Deluxe Authentic Lady Captain Costume also includes a knee-length Red Jacket, which features an ornate silver lace trim down the length of the jacket, which also decorates the sleeves, and it also features a delicate lace insert on the cuffs. 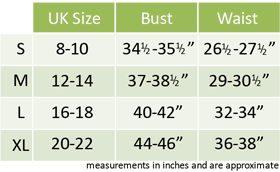 The Jacket also features the matching material to the skirt as the lining to the jacket. Add the final touch to this Deluxe Authentic Lady Captain Costume with the white Neck Tie featuring a central Red jewel, and the black Boot Covers that feature a lace up design and Red Turn-up with buckle. 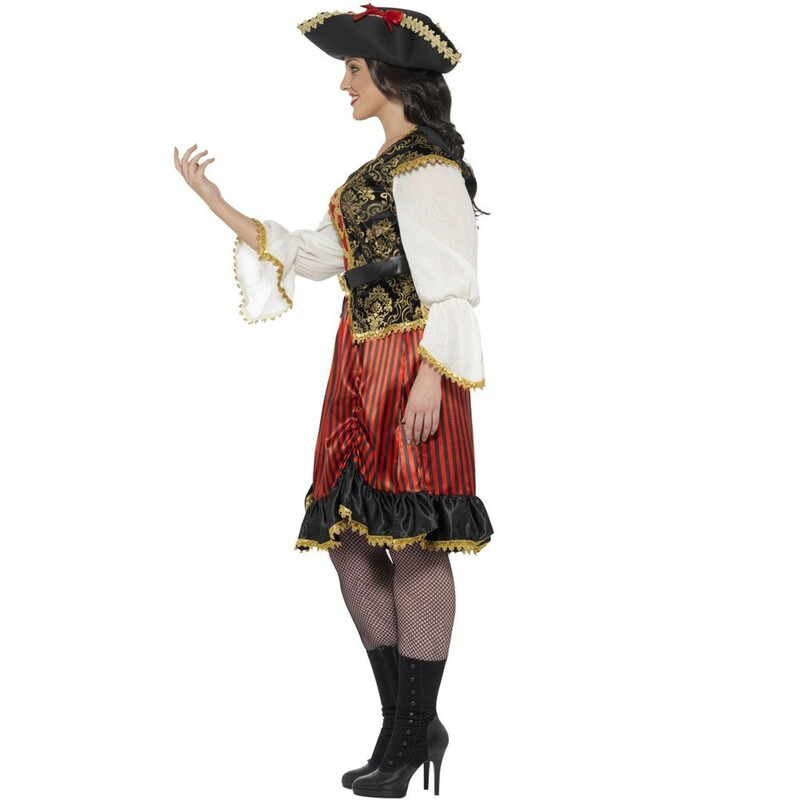 You will be sure to impress in this luxurious Deluxe Authentic Lady Captain Costume, no matter what the occasion. A Deluxe Authentic Lady Captain Costume.